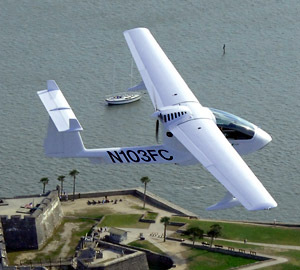 Americans have formerly seen the Colyaer Freedom S100 amphibian Light-Sport Aircraft. The long-winged seaplane disappeared from the market after the first U.S. distributor left the business. Now with new representation that we'll meet, Freedom will call the Lakeland airport home along with the Sun 'n Fun organization. Spanish owner, Santi, will help us understand the Freedom better and we'll hear more about their plans. 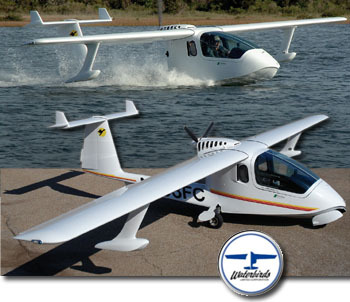 Americans have formerly seen the Colyaer Freedom S100 amphibian Light-Sport Aircraft. The long-winged seaplane disappeared from the market after the first U.S. distributor left the business. Now with new representation that we’ll meet, Freedom will call the Lakeland airport home along with the Sun ‘n Fun organization. Spanish owner, Santi, will help us understand the Freedom better and we’ll hear more about their plans. LSA Seaplane Invasion …Can It Happen? Airmax SeaMax, a current SLSA seaplane from Brazil. The all-metal Mermaid, an early entry and one that has achieved SLSA airworthiness. 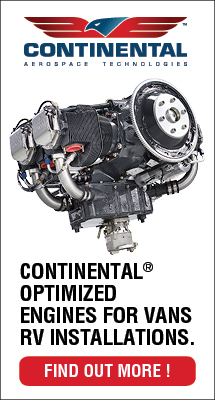 Progressive Aerodyne's SeaRey, based in central Florida, is nearing completion of its SLSA project. Icon's deftly marketed A5 LSA seaplane. Colyaer's Freedom S100 plans a return to the U.S. market. Finland's mostly wood airframed Atol amphibian. What’s going on out in the marketplace? More than any time since the launch of Light-Sport Aircraft in 2004, I have not observed such a frenzy of activity for a particular niche, this time for LSA seaplanes. Next season, in 2013, we could see no less than nine entries; three brand new and that count does not include any LSA equipped with floats, possibly adding several more. Yet some major potholes appear in the runway… or perhaps that should be waves sloshing over the bow. One entry is a return of a LSA seaplane previously seen in the USA as the Freedom S100 (SLSA List #44) yet can it reenter the market without a full FAA audit? See Update at end. A new agency directive with the catchy name 8130.2G CHG 1 may require a FAA visit to Spain but who knows when that might occur, given the likelihood of an FAA budget cut through the political process known as sequestration, part of the so-called “fiscal cliff” the mainstream media drones on about endlessly. 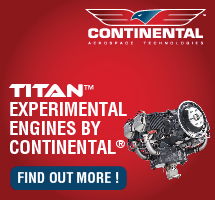 Read More About: A5 Colyaer Products Freedom S100 Icon Aircraft Mermaid Progressive Aerodyne SeaMax Seamax Aircraft (formerly AirMax) SeaRey Wet Aero, Inc. 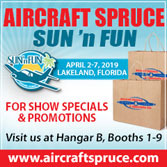 If you can attend Sun 'n Fun and want to examine Freedom, "We'll be in the Southeast exhibit area, space SE 020," says Larry Martin of Waterbirds. This location is very near the LSA Mall where 20 SLSA are exhibited for your comparison shopping. 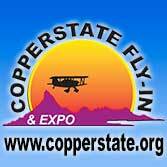 Come see them all April 8-13 in Lakeland, Florida! In late 2006, the second amphibian to win SLSA approval was Colyaer's Freedom, after CZAW's Mermaid. Since these two, the SeaMax also joined the party, and at least two more are in development. Flying boat fans have some sweet choices. 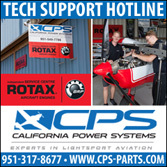 Even though we have three today, sales have been modest for a variety of reasons: manufacturing is more complex with retractable gear; marketing to a country the size and diversity of the USA is challenging; and cost of any LSA floatplane is greater than its equivalent landplane (though a fraction of the cost of a Part 23-certified airplane on floats). *** Now, welcome Waterbirds. From the people that bring you the Sting S3, availability will now be better as this new company struck a deal with LSA Aero, importer of the Freedom. Contact Larry Martin stated, "Waterbirds will manage the sales and marketing of Colyaer's Freedom, while LSA Aero will continue to import the airplane and provide after-sales support." *** With a wingspan greater than 40 feet, Freedom claims a glide of 20:1, an impressive figure, especially for an amphibian. Flying boats often weigh more -- retractable gear alone adds pounds -- but with an allowed gross weight of 1,430 pounds, useful load is a respectable 576 pounds. In late 2006, the second amphibian to win SLSA approval was Colyaer’s Freedom, after CZAW’s Mermaid. Since these two, the SeaMax also joined the party, and at least two more are in development. Flying boat fans have some sweet choices. Even though we have three today, sales have been modest for a variety of reasons: manufacturing is more complex with retractable gear; marketing to a country the size and diversity of the USA is challenging; and cost of any LSA floatplane is greater than its equivalent landplane (though a fraction of the cost of a Part 23-certified airplane on floats). *** Now, welcome Waterbirds. From the people that bring you the Sting S3, availability will now be better as this new company struck a deal with LSA Aero, importer of the Freedom. Contact Larry Martin stated, “Waterbirds will manage the sales and marketing of Colyaer’s Freedom, while LSA Aero will continue to import the airplane and provide after-sales support.” *** With a wingspan greater than 40 feet, Freedom claims a glide of 20:1, an impressive figure, especially for an amphibian. LSA Aero -- based in Tanner, Alabama -- sells the three Colyaer designs: Freedom S100, Martin 3 (land plane), and Gannet, a non-amphibious seaplane. These airplanes were developed by Colyaer of Pontevedra Spain and have been flying in Europe for eight years. Perhaps it's a little ironic that Freedom wins its freedom. When I spoke with importer Don Langford at the Sebring LSA Expo he sounded somewhat unsure about the future for his Spanish amphibian. He'd submitted information for an exemption but had no reply. Yet shortly after Expo ended FAA granted LSA Aero's request for the Colyaer Freedom S100. The exclusive club now includes Czech Aircraft Works' Mermaid and the Freedom. 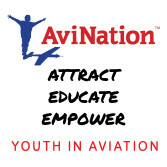 *** Each person exercising Sport Pilot privileges is required to obtain additional ground and flight instruction -- on landing gear inspection, operation, and emergency procedures to include six takeoffs and landings and three in-flight gear movements. After a logbook endorsement and with appropriate placards on the aircraft, a Sport Pilot is allowed to move the gear as designed. Congratulations to Don and LSA Aero. This may help crack the door open wider for other amphibious LSA. 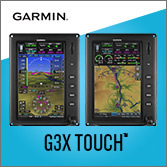 FAA's Exemption is good until January 31, 2011, by which date we can hope the agency finds a solution to the original rule and no longer needs exemptions. Perhaps it’s a little ironic that Freedom wins its freedom. When I spoke with importer Don Langford at the Sebring LSA Expo he sounded somewhat unsure about the future for his Spanish amphibian. He’d submitted information for an exemption but had no reply. Yet shortly after Expo ended FAA granted LSA Aero‘s request for the Colyaer Freedom S100. The exclusive club now includes Czech Aircraft Works’ Mermaid and the Freedom. 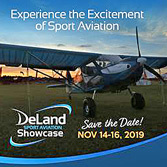 *** Each person exercising Sport Pilot privileges is required to obtain additional ground and flight instruction — on landing gear inspection, operation, and emergency procedures to include six takeoffs and landings and three in-flight gear movements. After a logbook endorsement and with appropriate placards on the aircraft, a Sport Pilot is allowed to move the gear as designed. Congratulations to Don and LSA Aero. This may help crack the door open wider for other amphibious LSA. 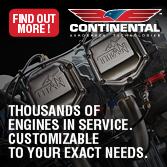 Freedom is described as a carbon composite pusher powered by the 100-hp Rotax 912S. Wings and tail are detachable for trailer transport. Freedom is based priced at $123,000, a high figure among SLSA but amphibs are always substantially more expensive than land planes. 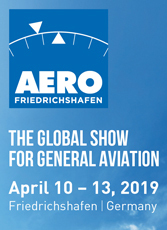 More info: 256-355-1022 or email LSA Aero. On the same day Van first flew his RV-12 LSA and on the same day AOPA's Expo 2006 opened with a fleet of LSA on display, LSA Aero president Don Langford received #44 SLSA certification for the Freedom from Troy Hart of the Memphis FSDO (photo). The following week Decatur, Alabama-based LSA Aero delivered the first Freedom amphibian to its owner. Langford says the Freedom, part of a family of airplanes based on the design, "is the culmination of eight years of development by Colyaer of Pontevedra, Spain." The Martin3 landplane and Gannet non-amphib seaplane share the same wing, cabin, tail, and fuselage down to the waterline, added Langford. *** Glide performance from the 40.3-foot wings is said to be 20:1 and this helps keep water runs to a reported 8 seconds. Empty weight with the amphibious gear is 854 pounds but LSA seaplanes can gross at 1,430 pounds yielding a respectable 576-pound useful load. 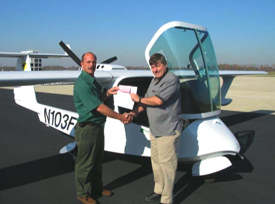 On the same day Van first flew his RV-12 LSA and on the same day AOPA’s Expo 2006 opened with a fleet of LSA on display, LSA Aero president Don Langford received #44 SLSA certification for the Freedom from Troy Hart of the Memphis FSDO (photo). The following week Decatur, Alabama-based LSA Aero delivered the first Freedom amphibian to its owner. Langford says the Freedom, part of a family of airplanes based on the design, “is the culmination of eight years of development by Colyaer of Pontevedra, Spain.” The Martin3 landplane and Gannet non-amphib seaplane share the same wing, cabin, tail, and fuselage down to the waterline, added Langford. *** Glide performance from the 40.3-foot wings is said to be 20:1 and this helps keep water runs to a reported 8 seconds. Empty weight with the amphibious gear is 854 pounds but LSA seaplanes can gross at 1,430 pounds yielding a respectable 576-pound useful load.